Joint Forces K9 offers boarding for any canine of any size or temperament. There is no breed restriction at the facility. 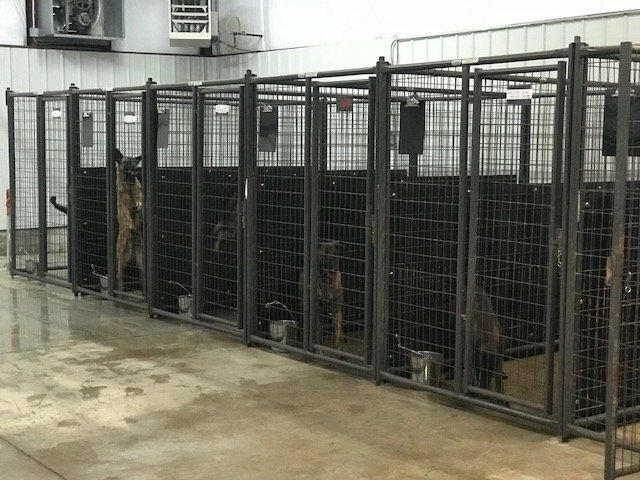 Pets are kept in a climate controlled kennel. At Joint Forces K9 we strive to give your pet the best experience it can have while boarding with us. Proof of current vaccinations is required before your dog is able to go into the kennel area. Vaccinations must be current for your dogs age. The price for boarding is a flat fee of $35 per night no matter the size, age, or breed of your dog! We do allow unaltered dogs at our facility. You can rest assured that the feeding schedule that you have at home will be maintained. Each dog has privacy and their own space. We have outdoor areas for them to run free and have fun! Each dog will have daily interactions with the kennel staff, and we can even administer medications. All new clients and all clients during holiday periods will require a deposit to hold your reservation.